Alfred Damon Runyon (October 4, 1880 – December 10, 1946) was an American newspaperman and author.He was best known for his short stories celebrating the world of Broadway in New York City that grew out of the Prohibition era. To New Yorkers of his generation, a "Damon Runyon character" evoked a distinctive social type from the Brooklyn or Midtown demi-monde. 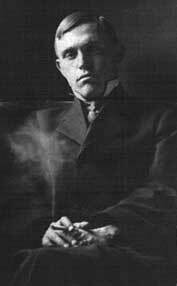 The adjective "Runyonesque" refers to this type of character as well as to the type of situations and dialog that Runyon depicted.